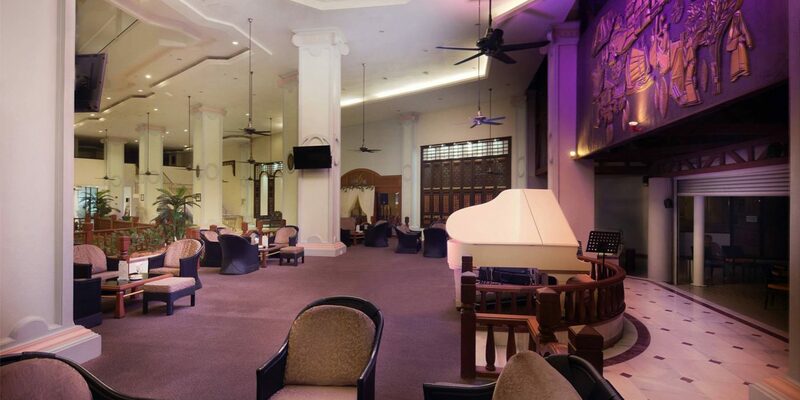 With its high ceilings, comfortable antique furniture and lush potted plants, our Bay Lounge Lobby Bar channels the elegance of Penang’s colonial past, with a white piano and gently rotating ceiling fans to complete the effect. This is a place to reconnect with family and friends or to relax with a cold drink and escape the afternoon heat. In the evening, the bar’s warm lights are a beacon in the balmy Malaysian twilight, and you can meet new friends over an apéritif or a game of pool.